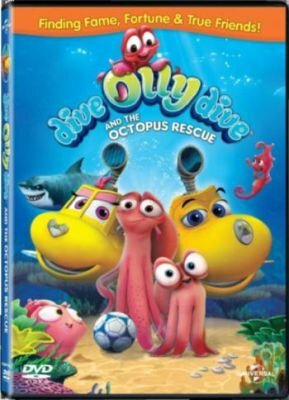 Charley the Octopus’ dream of becoming a World Famous Soccer Star are given a rude awakening in this wonderful under-sea extravaganza. In a hilarious chase sequence while swimming for his life from rent collectors, Charley inadvertently enters a “Star Finder” variety show run by Snarkey Sharkskin and boogies himself to fame and fortune. Alas, fame and fortune are not all they are cracked up to be and it’s down to our heroes Olly and Beth to daringly rescue their eight-legged friend. Charley ultimately learns that family is much more important than fame and fortune.